Possibly the sexiest Olympic venue at the 2010 Winter Games! 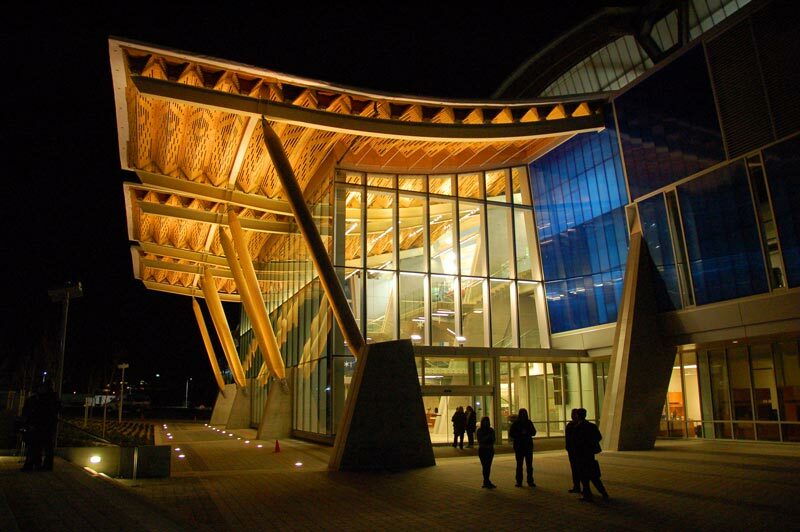 The Richmond Olympic Oval is a multi-purpose sports facility along the banks of the Fraser River in British Columbia. 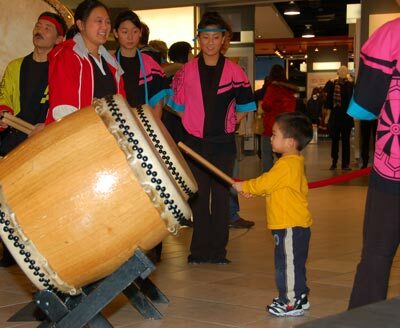 It is located a few kilometres south of Vancouver on Canada’s west coast, minutes from Vancouver International Airport (YVR) which is across the river on Sea Island. 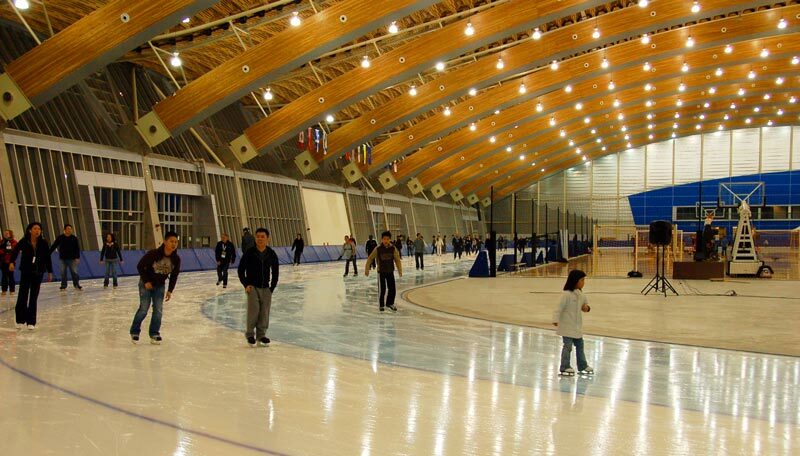 Although built specifically for the Games, the facility is open to the public for sports activities and spectator events. The Oval is also a training and competition centre for many Paralympic sports including wheelchair basketball. When I was there I got to play some “pickup” ball on one of the courts inside the actual skating oval. No wonder so many able-bodied people play this sport as well, it’s the most fun you are ever going to have sitting in a chair. 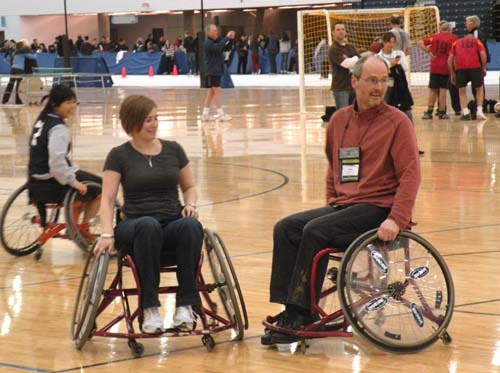 Check out the Canadian Wheelchair Basketball Association website for information about joining a league. If you’re in the area, drop in at The Flying Beaver for a burger. 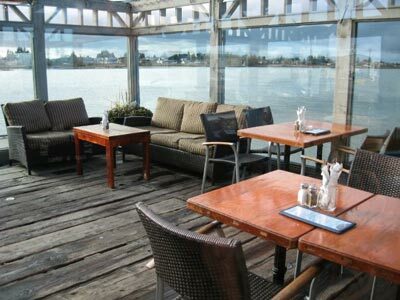 It’s a restaurant on stilts across the Fraser River from the Oval (map). It’s famous for good casual West Coast seafood, live music, great views and a place where floatplane pilots hang out between jobs. If you like dim sum and want to experience authentic Asian culture, Fisherman’s Terrace restaurant in the brand new Aberdeen Center on Cambie Road in Richmond is a good bet. The shopping mall itself is a state-of-the-art multicultural experience where you can buy a Lamborghini along with your ginseng and cream puffs.